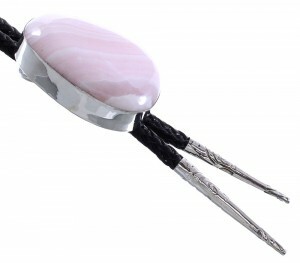 Bolo piece measures approximately 2-1/2" long and 2" wide. The Tips measure approximately 2-1/4" long and 1/4" at widest point. The total measurement of the cord is approximately 45" long. 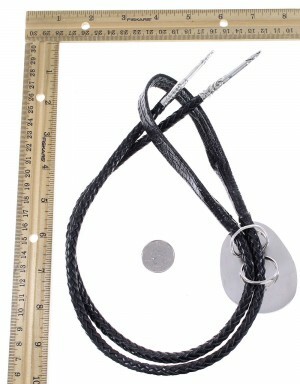 The bolo tie weighs 164 grams. 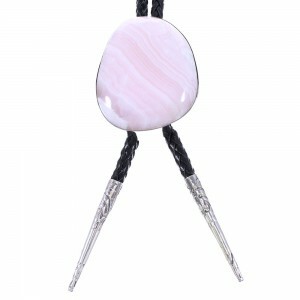 This is truly an outstanding bolo tie that will make a great impression! This piece of Native American jewelry is Navajo hand crafted by artist B. Benally out of genuine sterling silver and a real Rhodochrosite stone. 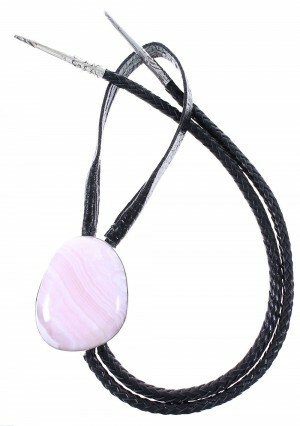 The stone is gently set in hand cut bezel setting completing the bolo tie beautifully. The leather cord is completed with silver cones for an elegant finish. The bolo piece is stamped sterling and hallmarked.